I've seen this article before, and am left a tad confused. It states that the red line "starts at 5500 rpm"; on the 4.2 it starts at 5000 rpm - on mine at least! Also, on the 3.07 the mph is c.25 mph per 1000 revs according to the Jag handbook, so 5000 rpm would be 125 not 130 as stated. He drove from Hampton to Worcester Beacon to see the new dawn! I agree with him a about the heat Angus! I must do something about it. 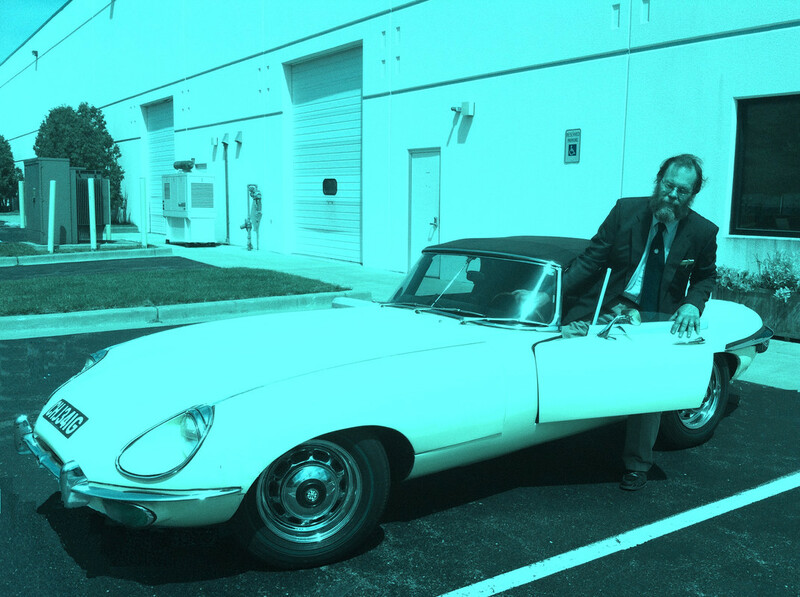 "the E-type was a sweat shop, almost as bad as the Austin Healy 3000, but there was always the consolation that it was endowed with a hot engine in more sense than one." Finest motoring writer there has ever been. By a very long way. That's a bit sweeping, isn't it? LJKS was always entertaining, and undoubtedly a great and rather learned writer , but not always right , having bees in his bonnet about a number of things. And what about , just for starters, Steady Barker and Jenks ? As a motorcyclist as well as a classic car driver, I recall LJK writing regular columns for Bike Magazine. Favourite LJK story? When criticised by an editor for peppering his prose with idioms In foreign tongues and told to write one copy in one language, LJK deposited his next script on said editors desk, written entirely in Latin. Then he went home! Spooky coincidence from the Motorsport article. The writer mentions that Seagrave lost his life on Windermere. Almost exactly two years later Campbell drove his S1 FHC to Coniston Water where he also lost his life chasing he water speed record. Yes, it was an ace up his sleeve and rare to be totally credible in both circles, although Dennis Jenkinson wrote for Motorport's sister title Motorcycle Sport as well, of course. The latter's credibility was also 'not un-enhanced' by the small matter of winning a road-racing sidecar world championship with Eric Oliver, on an Norton one-lunger IIRC. Favourite LJK story? When criticised by an editor for peppering his prose with idioms In foreign tongues and told to write one copy in one language, LJK deposited his next script on said editors desk, written entirely in Latin. Then he went home! To take a leaf from Setright's book, I am surprised Mark Williams was compos mentis enough to notice Setwright's use of mots justes in his prose. Williams ended up spending several years in a Welsh jail when it turned out his frequent references to narcotic-fueled events were not journalistic bravado but lightly-redacted first-person accounts of a cocaine smuggler and money launderer. Spooky coincidence from the Motorsport article. The writer mentions that Seagrave lost his life on Windermere. It would have been even spookier if he'd died in a marine rather than a freshwater environment, no?